OBJECTIVE: To help children develop a love of Science and understand that Science and Faith can exist at the same time. Not long ago, I read an article about the amazing discoveries scientists are making about our universe--the unfathomable number of galaxies and systems out there and the perfect order and design of them all. But I was taken by surprise by the conclusion at the end: "Therefore, we know there is no God." When I contemplate the vastness of the universe, I feel what Alma felt in 76 BC: " . . .all things denote there is a God; yea, even the earth, and all things that are upon the face of it, yea, and its motion, yea, and also all the planets which move in their regular form do witness that there is a Supreme Creator." I opened this month's volume with a little letter written by Charles Kingsley to boys and girls about the joys of science and using their eyes to discover all the hidden wonders of the world. "God's Book, which is the Universe, and the reading of God's Book, which is Science, can do you nothing but good, and teach you nothing but truth and wisdom." You can read the rest of Kingsley's book here in which he draws lessons of wisdom even from the life of a fly along with many fascinating details found in the world around us. I'm sorry to tell you that the textbook approach to science when I was in school was so distasteful, I promptly forgot everything I learned. Because of it, I've stayed away from Science most of my life. But I am rediscovering it--and the joys of it. If you are like me and need a refresher course in basic science, I've included a book that will do just that. I've been learning so much from it. I have found these writings to be so clear and understandable with --here I go again-- a warmth I don't find in the recent books. Some of you may wonder what good a hundred year old science text is, but as I've spent time with these older books, it's amazing how much they got right just by using their eyes and their minds to figure things out. These are basic foundational ideas upon which we have built. For you bright scientific minds, you'll have to share with the rest of us if you find errors. Next, I included an Introductory chapter to another wonderful find: The Chemistry of Creation. This chapter gives you a quick trip down history's lane to the origins of the study of Chemistry. I highly recommend looking up the rest of the book and as you start to read, I think you'll know why I like this book so much. Finally, I included the first 100 pages of a book I stumbled across written for young people a hundred years ago-- the beginning of this modern day crisis of faith where science replaces God. I have never read such straightforward and practical ideas for instilling faith in our young people and why it matters. Good discussion points. Evolution is a hot topic today and our children need to understand what is being said and taught. Unfortunately, it seems that it is primarily used to lead our younger generation away from faith and from God. It's being taught as the Fact of Evolution as opposed to the Theory of Evolution, which is unscientific in itself. You need to be informed. 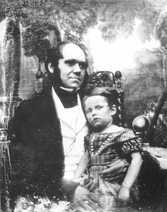 While our children are taught about Darwin, few of them are taught about Louis Agassiz. 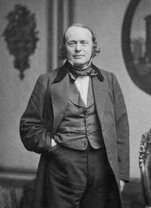 Agassiz was a highly respected scientist who taught at Harvard University and was one of Darwin's greatest critics in the day. He, too, had studied 'the story' in the earth and found holes in Darwin's Theory of Evolution. Agassiz was the perfect blend of Science and Faith. He taught his students to use their eyes and personal powers of observation. One of his classic lessons was to place a fish in front of a student and leave that student for days and even weeks to learn everything about the fish through observation. Yes, teach your children about Darwin. But teach them about Agassiz, too. Here are a few books to get started. His enthusiasm for learning is contagious. It was said of him that he never knew a dull hour in his life and thought it an incredible joke that any person could 'kill time in a world so full of interest.' In a letter to his brother, he wrote, "Write me about what you are reading and about your plans and projects, for I can hardly believe that any one can live without forming them: I, at least, could not." The 'heart' part of Science study is Nature Study which is covered in Month 2 of our Mother's Study. I've laid out a general outline of study by Month, but I wouldn't get too structured about it. Nature is all woven together and the best time to learn something is when the learning opportunity presents itself. The guide is suggested to provide a basic rhythm to your study. As you allow your child to spend a lot of time interacting with the world--and falling in love with it-- by the time he's old enough for a serious study of Science, he'll have a deep and strong root system to feed his studies. No need to rush the Mind part--allow plenty of room for the Heart to grow. Around age 8 is a good time to start weaving in the Science part. You'll notice the first half of the rotation fit in well with the Physical Sciences: Physics, Light, Chemistry and the last half with Life Sciences: Biology and all its related fields of study. Hands on observation and experimentation is a logical next step. Janice van Cleave has provided a series of books that provides experiments children can do on their own and that draws upon items you're likely to already have lying around your house. It's also an inexpensive way to go. The books may well be in your library or used books can be bought inexpensively. 1. Read biographies of great scientists to set an example of a sense of wonder and the price of discovery. You'll find some stories to get you started in the Great Scientists page. Science isn't just for boys. Here are 25 books about scientists who are women. 2. Encourage a spirit of questioning, experimentation and wonder. By the time a student is in High School. he or she is ready for a more formal study of science.